Sunbeam - I Say Ding Dong Shop - Buy Stickers, Decals & Unique Automobilia. 'I've Got A Tiger In My Tank' Sticker. 9". 'Ich Habe Ein Tiger In Dem Tank' German/Deutsche 'I've Got A Tiger In My Tank' Sticker. 9". 'Put A Tiger In Your Tank' Sticker. 9". 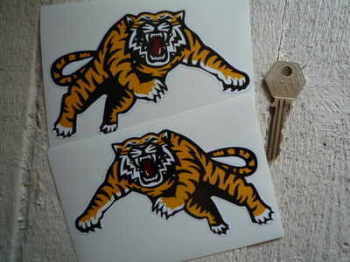 Esso Tiger Head Reflective Stickers. 4" Pair. 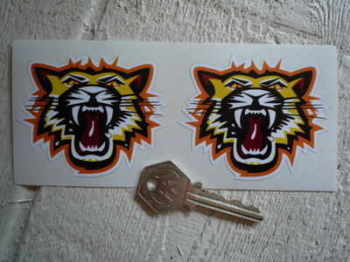 Esso Tiger Head Stickers. 2", 4", 6" or 8" Pair. Flying Tiger Stickers. 3", 4", 6" or 10" Pairs. 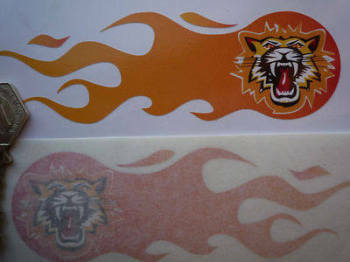 Growling Tiger Face Flaming Stickers. 5.75" Pair. Growling Tiger Face Stickers. 25mm. Set of 4. Growling Tiger Face Stickers. 3" Pair. 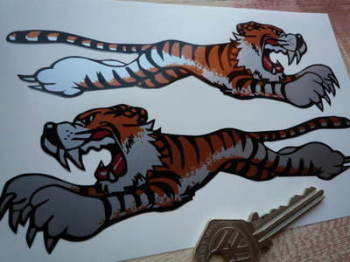 Handed Leaping Tiger Stickers. 5" Pair. Harington England Sunbeam Steering Wheel Sticker. 3". 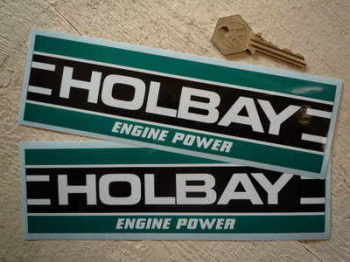 Holbay Engine Power Oblong Stickers. 3.75" or 8" Pair. 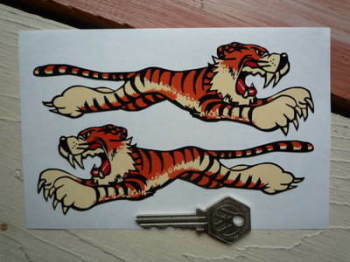 Leaping Tiger Stickers. Clear. 8" Pair. Leaping Tiger Stickers. Cream. 4", 6", or 8" Pair. Leaping Tiger Stickers. Silver. 4" or 6" Pair. 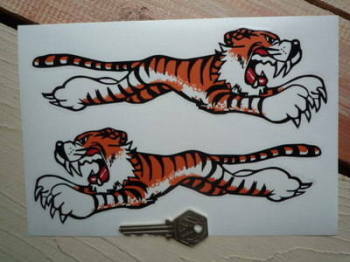 Leaping Tiger Stickers. White. 14" Pair. Leaping Tiger Stickers. White. 4", 6" or 8" Pairs. 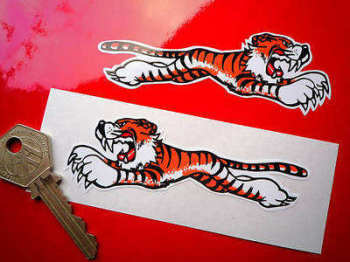 Leaping Tigers Style Laser Cut Self Adhesive Car or Bike Badges. 3.5" Pair. Rootes Union Jack Oval Sticker. 4.5". 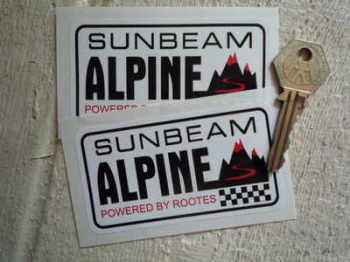 Sunbeam Alpine 'Powered by Rootes' Stickers. 3.75" Pair. 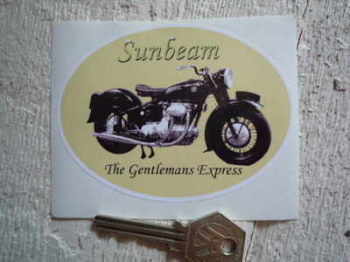 Sunbeam Bike 'The Gentlemans Express' Sticker. 4".